After the midweek heroics at Arsenal, the Swans return to the Liberty Stadium for a real ‘6 pointer’ against relegation rivals Norwich City, in what is arguably their most important Premier League game since promotion to the top flight in 2011. A win against Norwich will give the Swans a massive boost to their survival chances, whilst piling more pressure on the Canaries, whom along with Sunderland have the worst defensive record in the Premier League. Many of you will no doubt remember the pitiful Swans peformance and defeat at Carrow Road back in November, a repeat of that horrow show is unlikely and would be totally unaccecptable given the importance of this game. With upcoming games against Bournemouth and then Aston Villa later in March, three points against Norwich would cap a great start to the month of March and build nicely towards reaching the 40 point mark. Even Canaries boss Alex Neil reckons that the Swans may be out of sight for his Norwich side if they were to lose at the Liberty stadium this weekend. Few if any gave the Swans a chance at the Emirates, especially when the side containing six changes was announced, which indicated how much emphasis Francesco Guidolin had placed on the game against the Canaries. In Guidolin’s absense, Curtis and Dave Adams pulled off a tactical masterstroke at half-time which changed the face of the game against the Gunners and with the Italian still in a London hospital, the duo are once again going to be orhcestrating things from the touchline. Guidolin has picked the side for the Norwich clash and there is no doubt we can expect changes to the starting line-up to what most fans would call our strongest team. Although young Scot Stephen Kingsley impressed against Arsenal, he will no doubt make way for Neil Taylor, with Federico Fernandez replacing the impressive Jordi Amat. It will be interesting to see what central defensive midfield combination is used, after another weak peformance from Ki in midweek. Expect Alberto Paloschi to return to striking duties instead of Bafetimbi Gomis, despite an improved showing (and service!) for the Frenchman on Wednesday night. Aside from Ki and Leroy Fer – whom both suffered slight knocks at Arsenal, the Swans have a full strength side to choose from. Norwich however will be without midfielder Alex Tetty and could also be missing Timm Klose and Jonny Howson. 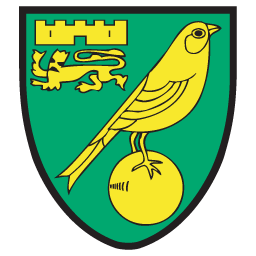 Canaries boss Alex Neil – whom previously played alongside former Swans gaffer Garry Monk – will be pleased that Robbie Brady, Gary O’Neil and Steven Naismith are available as he looks for a repeat of the Canaries victory over the Swans in November. History favours the Canaries, with them having won twice on their last three visits to the Liberty. In fact, Norwich have lost only once to the Swans in seven Premier League meetings, having drawn two and won four of the other encounters! Despite the Swans having won only twice at the Liberty in the last 12 Premier League home games, with the mood in the camp no doubt bouyant, you’d fancy the Swans to add to Norwich’s eight-match winless run and take another big step to Premier League safety. One thing is for certain though – EVERYONE needs to get behind the team today and roar them onto victory…. WE ARE SWANSEA CITY! Get odds of 9/2 on Alberto Paloschi to score first. Get odds of 11/2 on Gylfi Sigurdsson to score first. Get odds of 17/2 on Alberto Paloschi scoring a brace. Get odds of 7/4 on the Swans to win 1-0, 2-0 or 2-1.